A fitness revolution is happening. 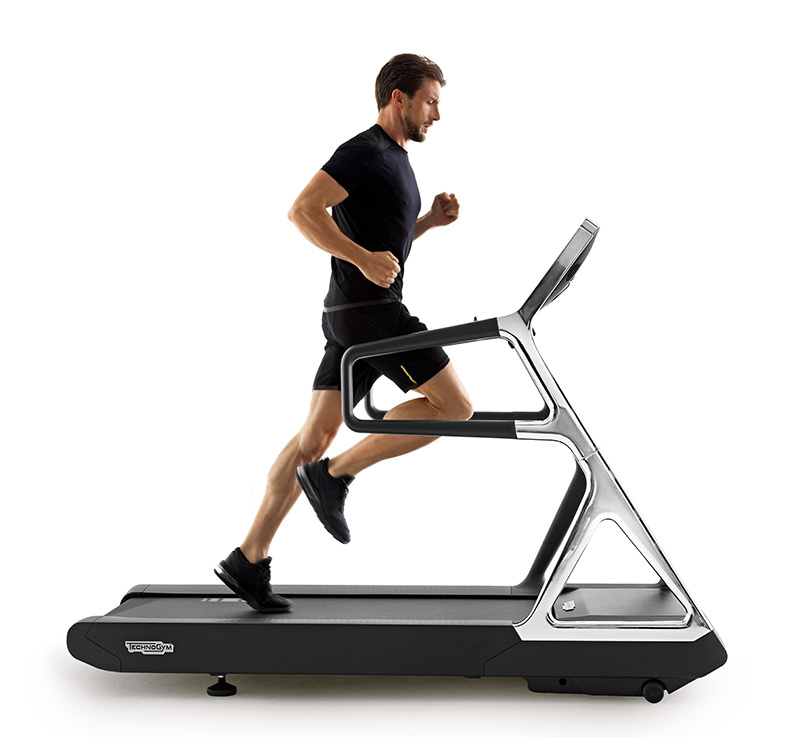 Technology is rapidly changing the way we workout, get fit and stay healthy. Innovations in connectivity and tracking mean we’re increasingly able to monitor our wellness 24-7, 365 days a year. 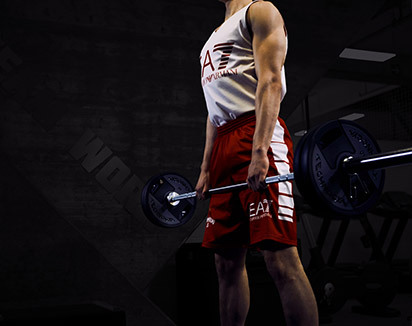 We can compete with other gym-goers all around the globe, take our personal trainer with us wherever we go and access a customized training experience, all at the tap of a smartphone screen. 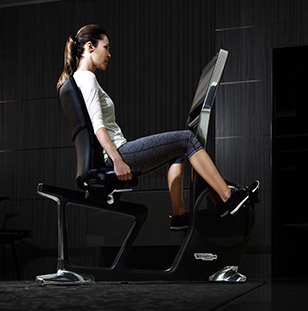 The gym of the future is already here. The past 18 months have seen an explosion in wearable tech. From fitness bands like the Polar Loop that count our every move, to apps like MyFitnessPal that monitor what we eat. Apps that log our activity like MapMyFitness, Strava and Runkeeper are finding themselves at home on our wrists with the wave of new smart watches. We're even checking up on how well we sleep with products like the Withings Pulse. We've never had so much information at our fingertips. The influence of technology on wellness has never been more pronounced, and this is just the beginning. 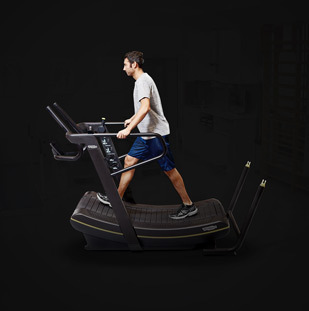 All this innovation has made wellness—the combination of fitness, health, diet and life balance—go mainstream and, while the gym remains a vital destination for most people looking to improve their health, technology is rapidly connecting the worlds inside and outside the gym. 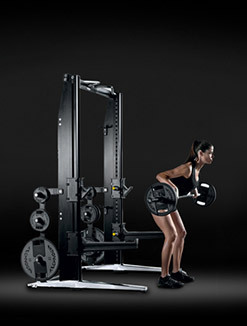 Embracing this new technology is at the heart of Technogym’s own Wellness on the Go strategy. The idea behind Wellness on Go is to empower gym operators to shape new and tailor-made business models by managing their member’s activities inside and outside the club. 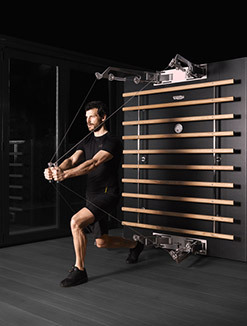 With this technology the individual remains at the center, according to Technogym’s visionary founder Nerio Alessandri. "I like the idea of wellness on the go,” says Alessandri, moving the concept of fitness on. “So it's not only three times a week in the gym, but 24 hours per day, seven days a week. It’s an attitude, something you should practice all the time, at work, at home, during free time…"
In the past two years Alessandri has backed this vision with cutting-edge innovation. 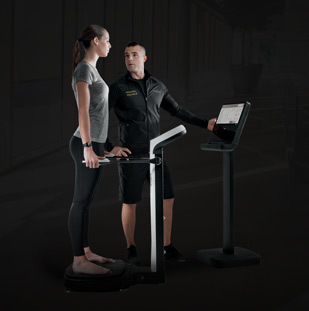 The launches of UNITY, the world’s first Android 4.0-powered console for cardio equipment, the mywellness cloud, and mywellness key have created the Technogym Ecosystem, allowing users worldwide to connect with their personal wellness anytime and anywhere. And there are a lot of users. 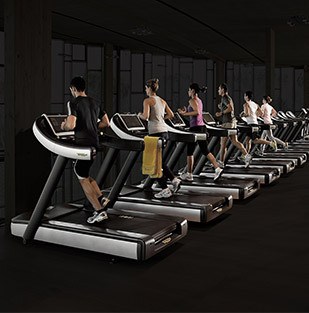 A whopping 65,000 Wellness centers worldwide are equipped with Technogym equipment and 35 million users train every day on Technogym equipment. Connecting what these gym-goers do indoors with what they do the rest of the time has huge potential. 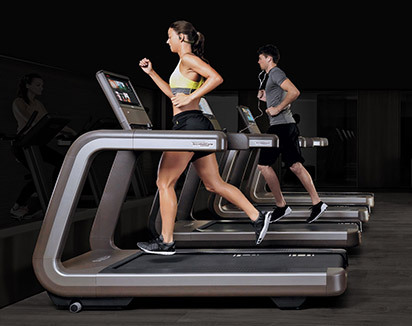 Smart gyms, like those using Technogym’s internet-connected equipment and mywellness cloud, now enable all workout data to be recorded in the cloud. So whether you’re working out in Miami or Manchester, your trainer can log in and see how the session has gone, alter your plan according and offer advice and support from afar. 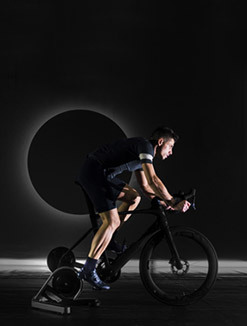 The mywellness cloud, is driven by the desire to create a holistic view of your health and well-being, aggregating data from apps, gym machines and other devices, so that whether you're in the gym or cycling to work, you can record, measure, and fine-tune your whole lifestyle. It's the Internet of fitness things where everything is connected and all your data is shared. The new technology offers a great opportunity for consumers and the industry. 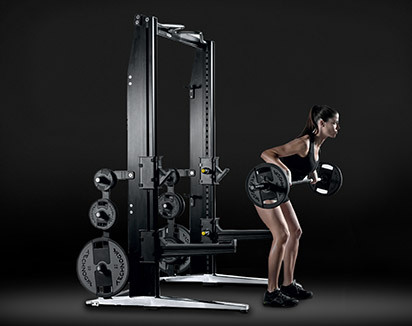 It allows the industry to reach more people and it’s a great opportunity for gym clubs to connect with members even when they’re training outside the club. If a personal trainer is willing to embrace technology, there’s a real opportunity to extend their potential client base and give their customers a better range of fitness options, no matter where they are in the world. Tracking is one thing, but the team from the Wellness Valley has also recognized that people need motivation beyond just looking good. The cloud-connected gym can help here too. 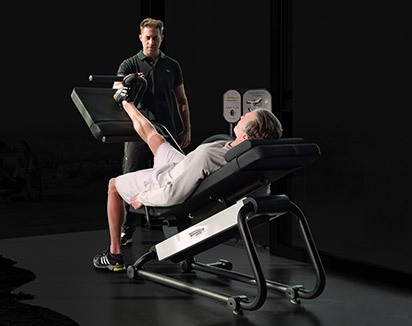 In 2014, Technogym launched a campaign called Let’s Move for a Better World. 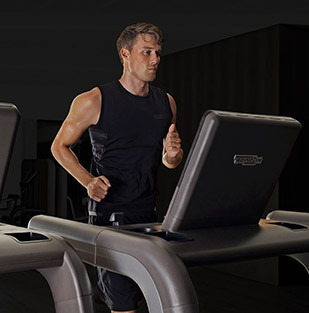 The campaign combined the mywellness cloud and the Internet-connected fitness equipment to create a global challenge tracking gym-goers and rewarding the fitness center whose members moved the most, with the opportunity to donate a Technogym gym to a local school. The challenge saw 50,000 people compete across 200 clubs worldwide. This gamification on a global scale was so successful that the next edition started in March 2015. 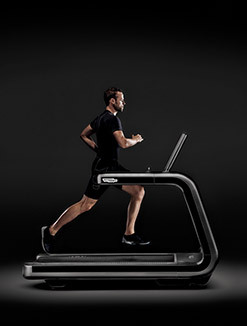 For those looking for competition a little closer to home, there’s Technogym’s MyRunning LogBook application. 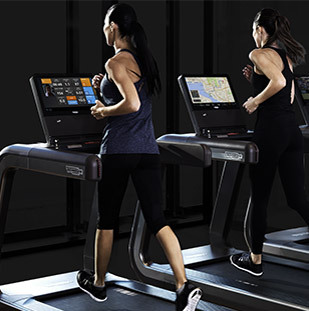 It takes data, such as heart rate, GPS map and workout intensity, recorded by outdoors run-tracking equipment from the likes of Polar and MapMyRun, and lets you recreate the run on Technogym’s UNITY powered ARTIS and Excite+ treadmills. The total indoor-outdoor integration lets runners race against recent outdoor runs and follow their progress on Google Maps. They can even choose from a variety of experiences anywhere in the world. 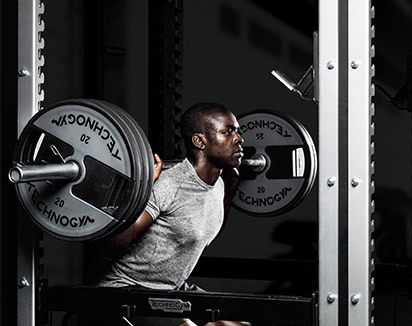 This technology isn’t just changing the gym-goer’s experience; personal trainers will have to adapt to a new array of tech-powered tools at their disposal, too. 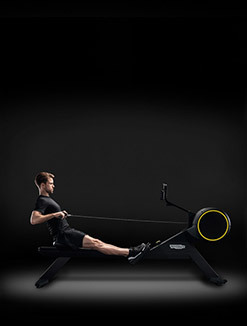 From an iPad or PC, they can create custom workouts by simply dragging and dropping exercises into a client’s program. Each exercise can be assigned a how-to video to demonstrate correct technique, and shooting a video using the iPad is a five-minute job. The suite of tools also lets a trainer monitor client progress with stats from each workout, long term trends like weightloss and body fat also feeding directly into a single page. If they don’t like what they’re seeing, they can contact the client at the click of a button to give them a remote kick in the rear. 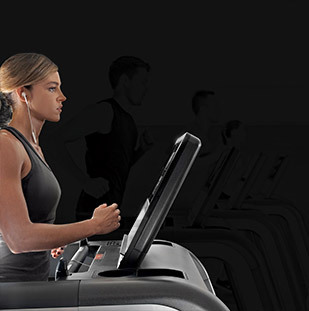 Far from begin a threat to fitness clubs; technology is simply turning the world into a gym. Thanks to this innovation, Nerio Alessandri’s vision of fun and fitness combining to create well-rounded wellness is happening right now.